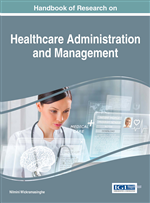 This chapter emphasizes the prospect of health literacy; the evaluation of health literacy level; health literacy and health communication; health literacy and health information; and the current issues of health literacy in global health care. Good health literacy is important because patients are living longer and experiencing a wider range of health issues. Health professionals must commit to promoting for improved health literacy in health care organizations and should establish the specific health care goals toward improving health literacy in strategic plans, performance plans, programs, and educational initiatives. Health professionals can utilize a broad range of health communication strategies to ensure patients understand their options and share their health care decisions. Through health education and training, effective health information can help promote patients' health literacy level in global health care. Health literacy first appeared in the 1974 paper calling for minimal health education standards for all grade levels in the United States (Mancuso, 2009). Since then, a stream of descriptive research has sought to examine the concept of health literacy, its measurement, and the problem of low health literacy in the health care industry (Schulz & Nakamoto, 2013). There has been a growing interest in the concept of health literacy, together with an increased emphasis on the individual's responsibility for health and self-management of chronic illness (Salmon & Hall, 2004). While health information has the potential to increase patients’ knowledge and equalize the effective communication between patient and health care provider, availability of information does not automatically lead to the involved patients (McCray, 2005). Information: The data that is organized for a specific purpose and presented within a context that gives it meaning and relevance. Communication: The two-way process of reaching mutual understanding, in which participant not only exchange information, news, ideas, and feelings, but also create and share meaning. Patient: A person who is ?receiving medical care, or who is cared for by a ?particular doctor or dentist when necessary. Knowledge: The understanding of a circumstance gained through experience. Skill: The ability acquired through the deliberate, systematic, and sustained effort to smoothly and adaptively execute the complex activities. Health Care: The act of taking the preventative or necessary medical procedures to improve a person's well-being.